This is an opportunity I have taken to share with you The PIN-based invitation model on BBM is something that makes it different from WhatsApp as users get an absolute authority on adding people to their BBM networks, unlike WhatsApp that lets anyone who has your phone number reach out to you. While the PIN-based invites may be considered an advantage, I see it as a bane. Keeping someone away from your BBM does not mean that you would be able to shut off all communication from that person. All a person needs is your phone number and then he has all the other ways – from calling to messaging to IM on WhatsApp – to communicate with you. Google Hangouts (Google Talk) instead, which I believe Android users would be quite used to. You can take their email address and add them to your Hangouts. Here you also have an authority to choose and reject. Another purported BBM advantage washed away. Also, the model that BBM follows seems to be limiting your interaction in the times when people believe in network building and socialising freely. Anyone of us may come across situations where we want to establish a communication with a person, but may feel a little shy in approaching and asking for a BBM PIN – he may share, may be not. A relation may gets spoiled before it is made. 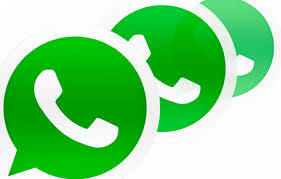 WhatsApp is a much better choice here. Isn’t it better to continue with WhatsApp which you have been using for quite sometime as your primary IM tool and use Google Hangouts to remain in touch with those you have not shared your digits with. This entry was posted in computers, ICT, mobiles and tagged eti. Bookmark the permalink.